Max is a lovable kitten who does not like been dressed up in ribbons. He wants to show he is fearless and to spend his time chasing mice. 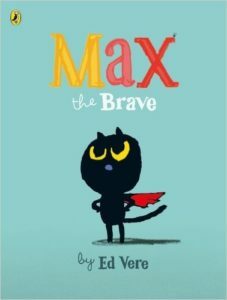 The only trouble is he doesn’t know what a mouse looks like… The story follows Max’s adventures as he meets a range of creatures and tries to find a mouse to chase. This is an amusing story and Max is a very appealing character. 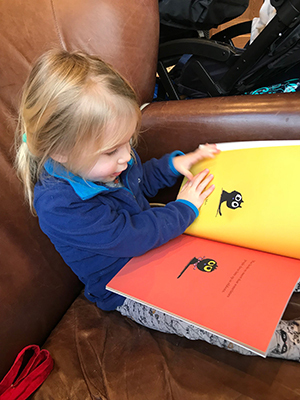 Children will enjoy his encounters with a number of animals and the fact that they know what Max doesn’t – the difference between a monster and a mouse! Read the story to your child allowing time to talk about what is happening as you do. The font size helps to indicate when bits should be read loudly eg when Max is waking the monster. 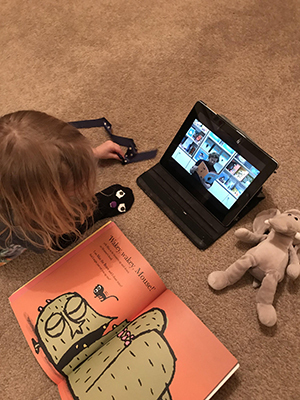 As children become more familiar with the story they may like to join in by answering Max’s questions as if they are the different animals and shouting to wake the monster. Children may want to pause or return to certain pages to talk about what is happening in the story and pictures. You could talk about how the different animals react to Max eg Why the birds fly down from the tree and how the mouse tricks Max. 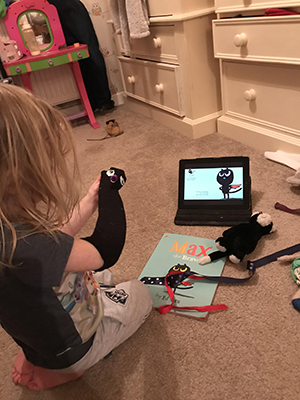 Use an old black sock to make a Max sock puppet. Stick on felt or paper circles for eyes and nose. Help your child to retell the story using the illustrations in the book and their Max puppet. 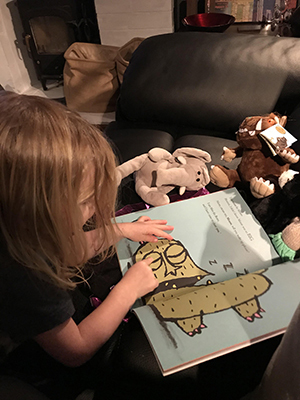 Using toy animals as some of the different creatures in the book children could use their sock puppet to play the story. This is more fun if you join in too perhaps by being the monster – trapping rather than eating Max! !